I’ve wanted to visit South Africa for years. 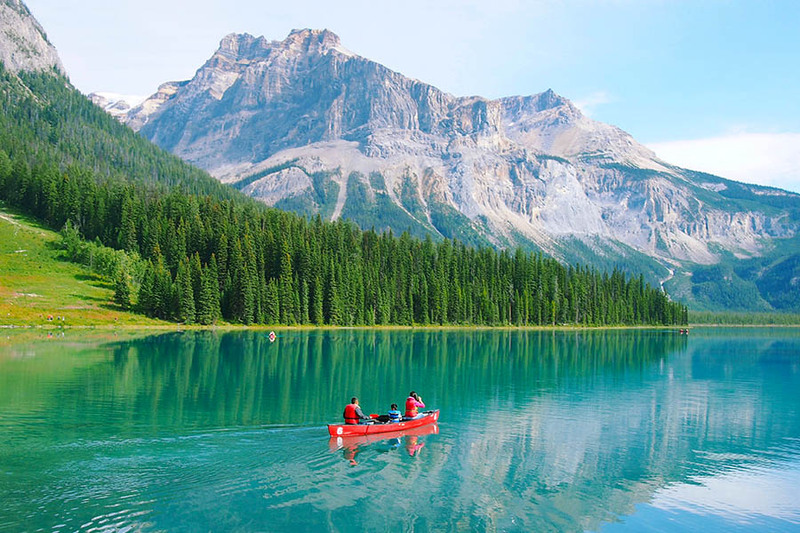 I knew I’d enjoy it for the same reasons that I love Australia and New Zealand – great scenery, amazing food and wine, stunning beaches – but I wasn’t prepared for just how much I’d love it. Looking back, I have no idea what took me so long to get to South Africa, because it's simply fantastic! I took two weeks of annual leave in early March to explore South Africa. I wanted to fly in and out of Cape Town with British Airways as they operate direct flights from Gatwick and the overnight flights are well-timed. I aimed to take a leisurely trip without domestic flights and malaria meds. I wanted to do a safari, visit the Winelands, see some of the Garden Route and spend some time in Cape Town. Driving in a loop from Cape Town made all of this incredibly easy, and I didn’t need to double back on myself. It was a perfect combination for a first-time visit to South Africa. Best of all, it was superb value for money! If you’ve always fancied going to South Africa, but you’re a little nervous about self-driving or concerned about road safety, let me put your mind at rest. I had a brilliant driving experience in South Africa. The roads are great, and most of the main journeys on my trip were on the equivalent of ‘A’ roads in the UK. Like us, the South Africans drive on the left and petrol is half the price compared to the UK. I didn’t feel unsafe on the roads or, indeed, at any point during my trip. We opted to drive straight out to Stellenbosch after arriving in South Africa. With no jetlag, and after a decent night’s sleep on the flight, the short drive was no problem after collecting the car at the airport. Stellenbosch is the perfect place to unwind before or after your long haul flight, and it’s just a 45-minute drive from Cape Town airport. The scenery is stunning, the sheer number of wineries is incredible, and the township itself has lots of interesting architecture and a wide choice of eateries. You are spoilt for choice when it comes to vineyards - they’re everywhere! Wine tastings are offered at a nominal charge, and this is usually waived if you purchase bottles afterwards. I particularly liked Spier and Kleine Zalze wine estates with their endless views and delicious local wines. It goes without saying that wine tasting and driving don’t mix, so we used Vine Hopper to get between the vineyards, as they pick up from most hotels and B&Bs. We also used Uber to get out and about in the evenings. Both services came in very handy in Stellenbosch. Most of the vineyards have restaurants onsite, many of which fall into the fine-dining category. For me, dinner at Tokara, high up in the hills, was a real treat. Get there just as the sun sets for a pre-dinner cocktail on the terrace and then head inside for an incredible culinary journey at a very reasonable price. It was a real highlight of my trip. Close to Stellenbosch, you’ll find Franschhoek, a charming small town with a vast number of wineries, boutique hotels and charming French restaurants. Try Rickety Bridge for lunch overlooking the vines, and then head next door to the fabulous Grande Provence for a wine tasting before exploring the beautiful garden dotted with some incredible sculptures. Even if you’re not a wine-lover, I would still recommend staying in the Winelands. It’s a beautiful region with a gorgeous backdrop, making it a great place to just sit by the pool admiring the scenery. I think it’s the ideal first or last stop on any self-drive South Africa itinerary. I stayed at the boutique hotel Sugarbird Manor – top notch breakfasts with a gorgeous view, a very friendly cat and lovely staff. After a couple of days in the Winelands, I set off on a safari near Cape Town, and Sanbona Wildlife Reserve came highly recommended. The drive from Stellenbosch to the Little Karoo region was easy and took around 3 hours, with smooth motorway pretty much the whole way. As you drive, you’ll pass even more vineyards – that blew my notion that all the wine came from the Cape Winelands area! Sanbona itself is vast – 58,000 hectares to be precise. It’s a privately owned wildlife reserve with three main lodges. No day trippers are allowed here, and they take their conservation very seriously. We joined the small number of fellow visitors to enjoy the landscape, relax in isolation and spot the legendary Big Five. We stayed at Gondwana Family Lodge, and it was perfect for us. The lodge itself is small, with just 12 rooms. All meals are included as well as the game drives. It’s contemporary in style, and the rooms are very big with either a deck area or private balcony looking over the South African bushland. The mix of guests ranged from honeymooners to older couples, as well as family groups with children of all ages. At Sanbona, you are allocated one safari guide for your whole stay, which is a nice personal touch. 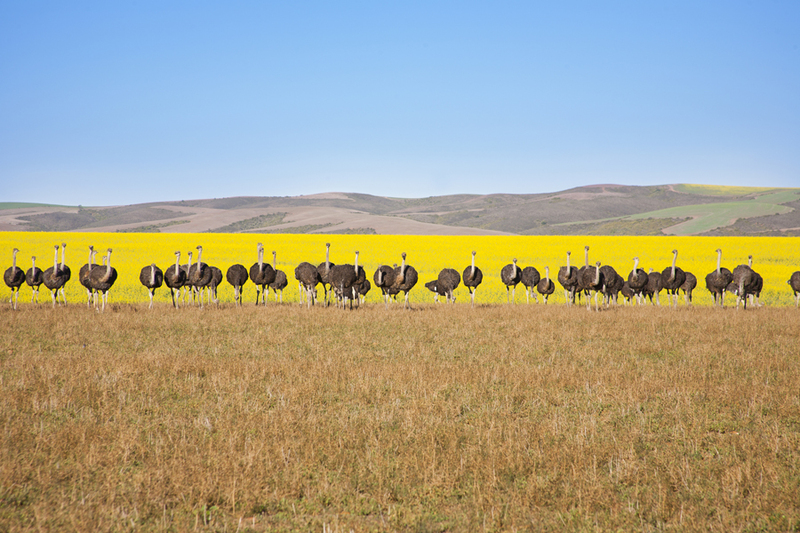 There are two game drives per day and, depending on what time of the year you visit, the start times may vary. We set off at 4.30pm each afternoon and at 6am each morning. On average, you’ll be out for around 3 hours with a stop along the way for a sundowner or a morning cuppa. It can be chilly first thing and when the sun goes down, but your Jeep is well equipped with blankets – and once the sun comes up, you definitely won’t need them! Wherever possible, the reserve pairs families together in one vehicle with a guide so that they get a child-friendly game drive. We went out with two couples on our first day, and just one couple on our second day – this was great and smaller numbers than I expected. The interaction with our guide Brenda was fantastic, and she shared her love of flora and fauna, as well as tracking the wild animals that we were all keen to see. During our game drives, we saw zebras, rhinos, springbok, hippos, elephants, lions, cheetahs and more species of antelope than I can name! It was a truly extraordinary experience. At most, we were joined by two other vehicles while viewing the animals, but for the most part, it was just us. The only one of the Big Five we didn’t see was a leopard, and these are notoriously elusive. Given the sheer number of other animal encounters we had, I didn’t feel disappointed at all. 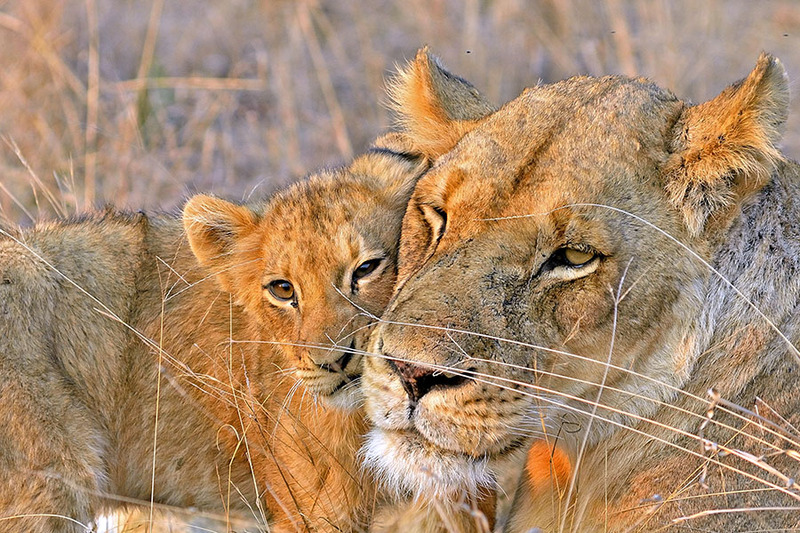 It’s just a great reason to return for another safari! The sight of a hippo coming over the bank and then plopping into a waterhole at dawn is something that I’ll never forget. Sunrise over the spectacular vastness, the weird and wonderful landscapes, being so close to elephants that you can hear them chewing their afternoon tea… the list of magical moments is endless. It may sound corny, but it was fantastic and worth every penny. It’s hard to imagine anyone not enjoying Sanbona. Families will love it; there’s a ‘Kids on Safari’ program, so children of all ages can take part in a range of activities while their parents are on a game drive. For all adult guests, it’s an excellent choice. I paid a visit to the other two safari lodges in the Reserve, both entirely different and of an equally high standard, but I definitely felt that I’d made the right choice. Dwyka Tented Lodge has accommodation in nine luxury tents, each with its own jacuzzi. This would be perfect for honeymooners, and it’s the most expensive of the lodges in the Reserve. For anyone seeking an adult-only lodge, Tilney Manor offers six luxury suites in the grounds of a heritage building. Both of these lodges include all meals and game drives just like the Gondwana Family Lodge. After a wonderful safari experience, we were keen to see the coast, so from Sanbona we headed down to Plettenberg Bay. The drive took around 4 hours on good, wide roads and the journey was straightforward. We stayed at Thanda Vista B&B for two nights, just 150 metres from the beach and a short drive from the centre of Plettenberg Bay. A short drive out of town takes you to Robberg Nature Reserve. Put this on your list, because the views are stunning and there are many walking trails around the peninsula. Being by the sea, fish and seafood are excellent. Ditching the car, we took a taxi to Ristorante Enrico for dinner for a superb meal – fresh off their own fishing boat. I can also recommend The Fat Fish. For our third night on the Garden Route, we headed to The Crags to stay at Hog Hollow Country Lodge and Villas, which is 18kms inland with views across the surrounding valleys and Tsitsikamma Mountains. It’s a great place to relax by the pool and soak up the scenery. We also took the opportunity to do an afternoon Keurbooms Nature Reserve cruise – this pristine environment is only accessible by boat, and we were the only people there. You can try your hand at stand up paddling in Whiskey Creek, and toast your athleticism with a glass of bubbles on your return trip. It was an excellent way to spend the day. Leaving Plettenberg Bay, we headed along the winding Garden Route to Hermanus, passing Knysna, George and Mossel Bay along the way. It was a lovely scenic journey. Hermanus is famous across the world for its whale-watching trips and viewpoints. However, whale season starts in June, so we knew we weren’t going to get a sighting on this trip. Even in ‘off season’, Hermanus is a charming place to stop off, and there are some excellent hotels (we stayed at Harbour House in a Premium Room), great restaurants (we loved the Pear Tree Bistro) and plenty of things to do. Close to town, you can visit some top-notch wineries, and you can still head out on the water for eco-cruises to spot seals and dolphins. There’s a shark conservancy in town, and you can do a Shark Lab tour year-round basis or join their expedition team for shark tagging, snorkelling or diving with the sharks. After Hermanus, we hit the road for the last time and headed for Cape Town. The drive was spectacular with the road hugging the coastline and, in parts, literally carved into the hills. Passing Hout Bay, Camps Bay, and Clifton along the way, we reached our hotel - The President - so named because it was first opened by Nelson Mandela. It’s a lovely, modern hotel in Bantry Bay on the Cape Peninsula, with an outdoor pool and an excellent breakfast is included in the room rate. Conveniently, the hop-on/hop-off sightseeing bus stops two minutes from the hotel. We dropped the car off when we reached Cape Town, as you don’t need to drive in the city. Uber is easily available here, and the tourist bus was excellent to see all the sights. 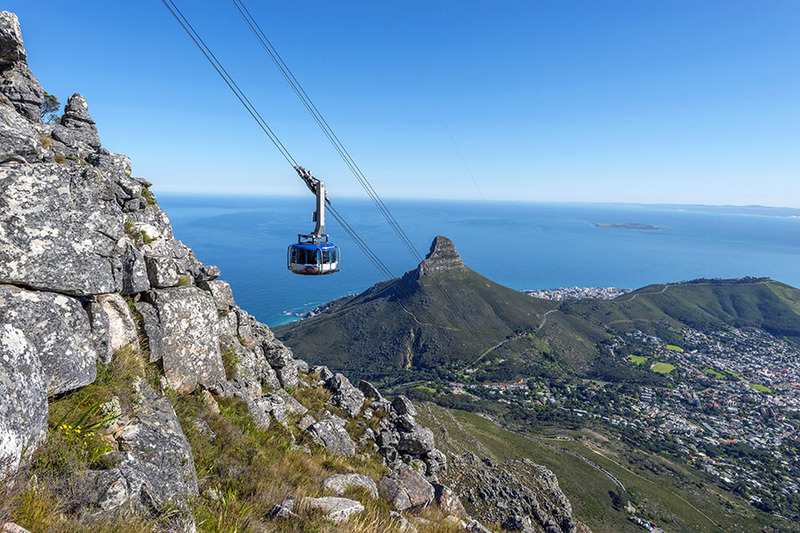 We explored Downtown, the V&A Waterfront, Table Mountain, Constantia and Camps Bay, and a couple of boat trips are also included on the two-day pass. I would recommend it. I loved staying at the beach in Bantry Bay. 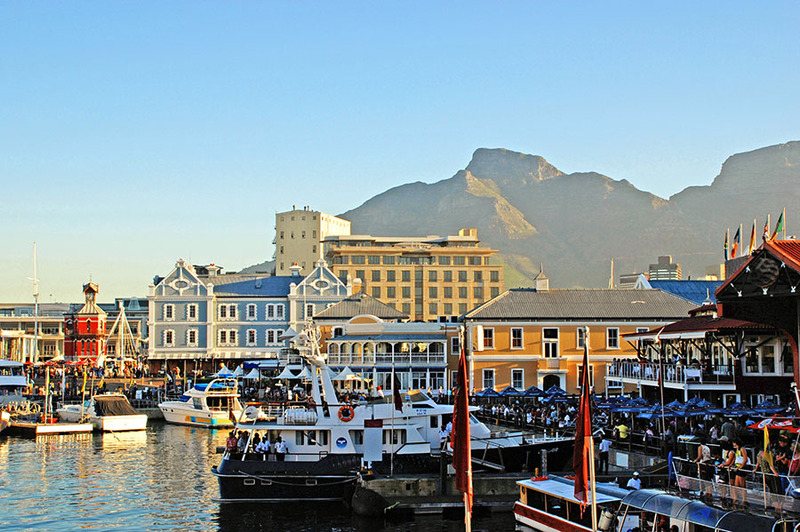 It’s only 20 minutes by car to the V&A Waterfront if you want to head into the action for dinner, but you’re also spoiled for choice with restaurants in the nearby Bays. My recommendations are The Bungalow at Clifton for sundowners and sushi, The Codfather in Camps Bay for fantastic fish and seafood and The Butcher Shop and Grill in Mouille Point for sublime steaks and a superb wine list. The food everywhere in South Africa is excellent and all at such bargain prices compared to home. Saving Cape Town until last was a perfect ending to the trip. It’s a beautiful city and much smaller than I imagined, which adds to the charm. Exploring downtown on foot was easy between bus trips. Definitely check out Bo Kaap with its colourful houses and the District 6 Museum is a moving, sobering reminder of Apartheid. For an arty fix, head to the Zeitz Museum of Contemporary African Art. Housed in disused silos on the waterfront, the building alone is worth a look and the artworks are either bonkers or fabulous depending on your take on Modern Art. The V&A Waterfront is a good place to indulge in some retail therapy with quirky independent outlets in the Watershed and great coffee at Cooked. Flights back to London with British Airways leave at 8pm, so I’d recommend organising a late checkout or keeping your room for an extra night to avoid hanging around without a room. We spent our last day hanging out at the pool in the blazing African sunshine and drawing up a plan to return to Cape Town over our final bottle of Stellenbosch bubbles. It was the perfect end to a fantastic holiday to South Africa. For me, driving the loop from Cape Town worked like a dream, ensuring that I had maximum time enjoying the stops along the way and minimum time at airports. 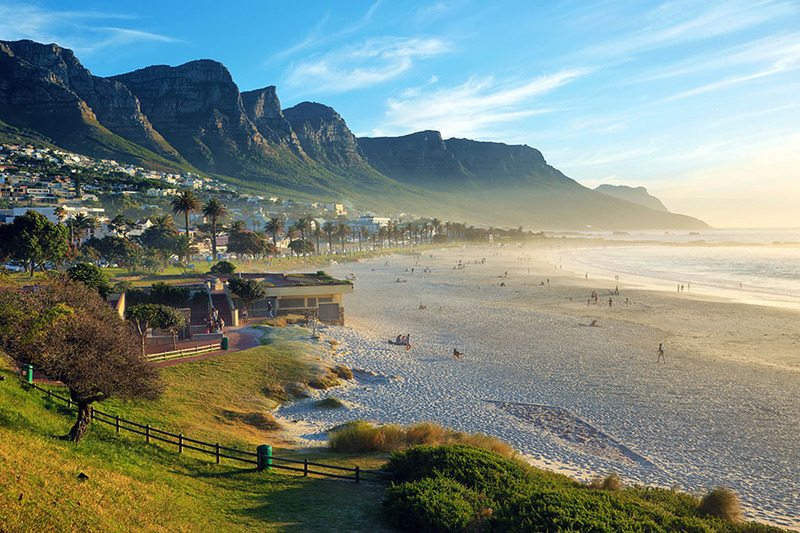 The mix of safari, beach and city certainly ticks the boxes for a first-time visitor. I can’t wait for my next visit! 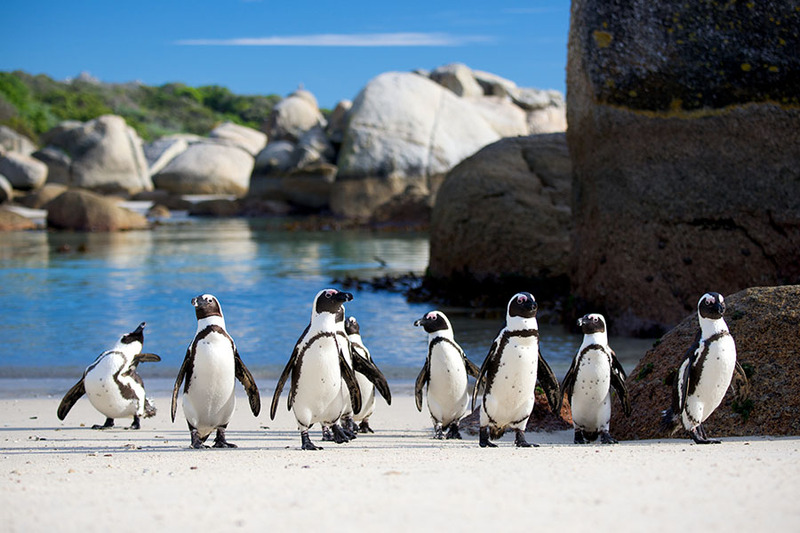 If you’re interested in visiting South Africa, I can provide advice and help you arrange every aspect of your holiday, direct or multi-stop flights, accommodation, car hire, tours and excursions – give me a call to discuss your plans on +44 1273320580 or email me directly [email protected].